Kids Math Teacher: So swamped with being busy, busy, busy! So swamped with being busy, busy, busy! It has been majorly busy around here! With my kids going back to school, change of tenants for the triplex we have, trying to work on my book, running critique groups for two writing groups, and just having time to keep up with laundry, dishes, cleaning, a-n-d EVERYTHING! But it is all good! I am feeling so blessed. A few weeks ago I found a very plump monarch caterpillar and I took it home and that day it went into it's chrysalis. My kids loved it! The following day I found another one and it did the same thing. My kids jostled the butterfly house and one of the chrysalises fell. I managed to get it back hung up with some floss and a tiny bit of super glue (but we are still waiting for that one to open--hope it's not deformed). The caterpillar that went into metamorphosis second came out first! 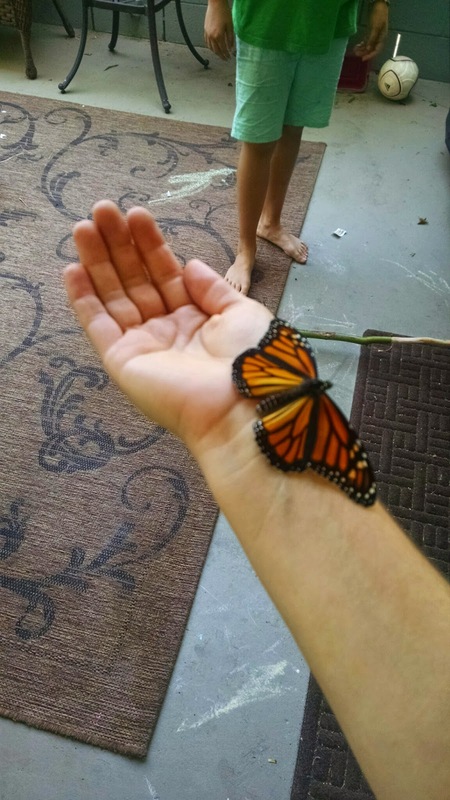 It was nice enough to climb on my arm and stay for about 5 seconds before flying off. During the last week and a half my husband and I did video for the production of The Pancake Menu--the book I will be publishing next year. It has recipes in addition to listing the possible pancakes to order. On the recipe page will be a QR code to go to the video tutorial on how to make the pancakes as well! I'm super excited about it! We did video taping over three days, (8/30, 9/1, and 9/4) to make 12 great kinds of pancakes. 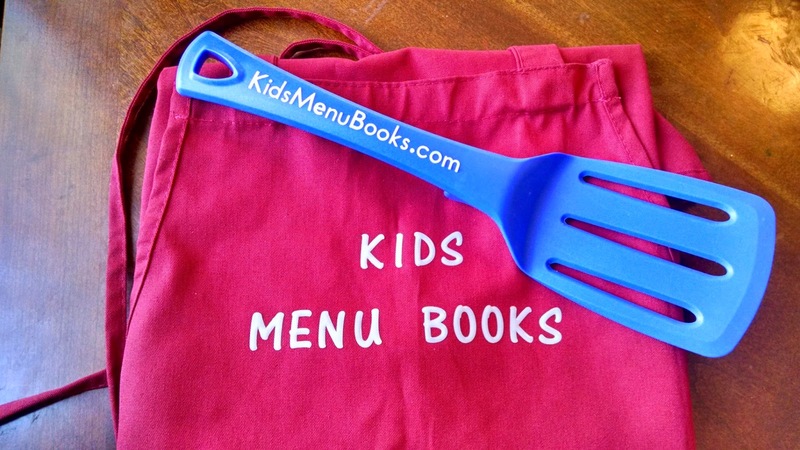 I customized this apron and spatula (they will be available with imprints during the Kickstarter campaign--although they won't be hand customized : ). What has everyone else been up to? Has it been super hectic?